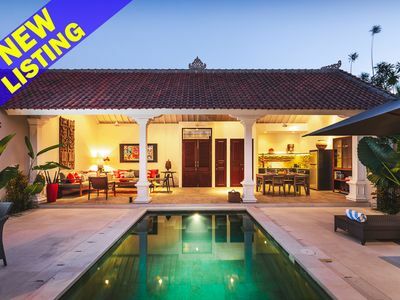 This splendid villa is located 150 m from the beach in the heart of Seminyak (Oberoi) with its incredible concentration of trendy boutiques, famous restaurants and nightclubs. 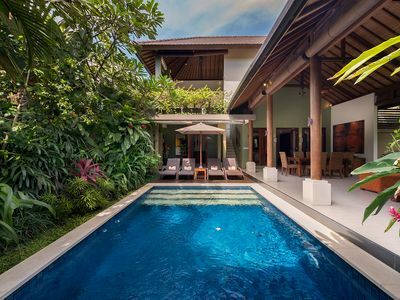 If you want to enjoy life in the tropics, there is no better place than the Villa! 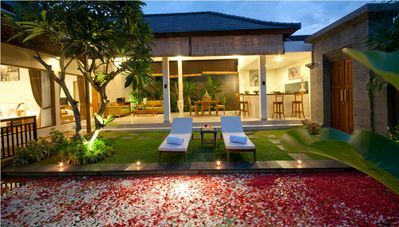 It is perfect for luxury vacation in Bali for six people. 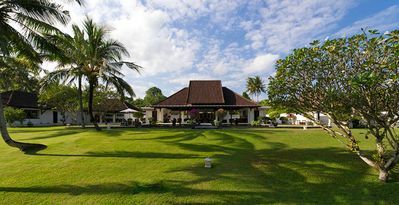 The Villa was created for a relaxing stay with maximum comfort and convenience. 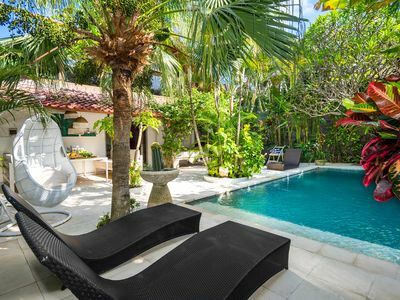 The first floor has large area living room with a kitchen within, close to a private pool with chaise lounges and special area to sunbathe. 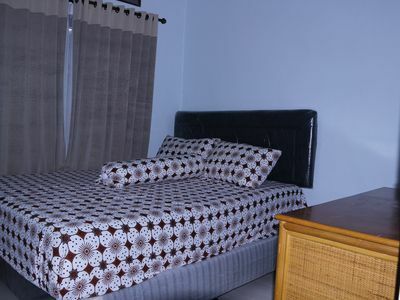 The bedroom has king size bed, wardrobe and in suite bathroom with washbasin, toilet and bathtub. 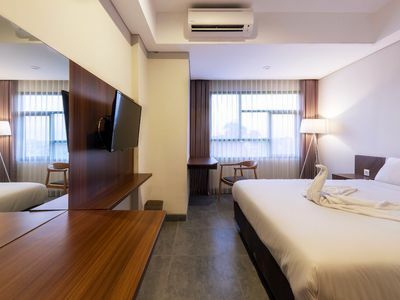 The living area has a sofa set, TV and kitchenette with gas stove, refrigerator, microwave oven, cooking utensils, water dispenser, kitchenware, tableware and sink. 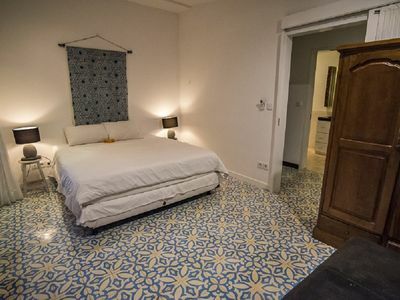 Easy to anywhere, is just 1 minutes by bike to the beach just 150 meters, and walking distance to shopping area and restaurant just 80 meters. Is about less than 30 minutes from airport. Villa manager greets you on arrival and departure and inform the personnel of special needs. 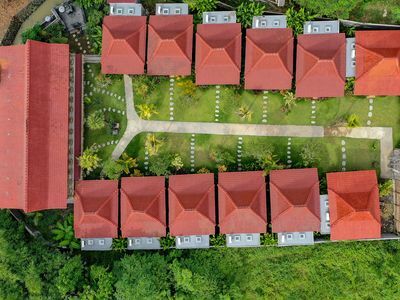 You will be met, placed and guided around the villa. He will be happy to answer all your questions and help you with advices of where to go/what to do, suggest activities and attractions. If there is anything else we can help coordinate for you to fulfill all your wishes we will. Otherwise will leave you in peace to relax and enjoy your holiday. 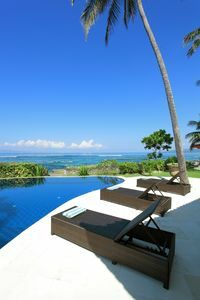 We are happy to help you arrange tours and transfers, boat trips to Lembongan & the Gili islands, surfboard rental and lessons, yoga classes, cultural, sport and adventure activities, and many more. Villa manager remain at your disposal should you require more information. He is nearby and on-hand available to guide you and assist you with all your needs. 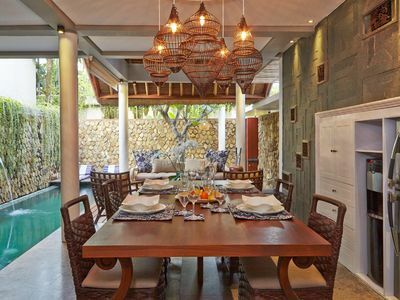 Villa Ideally situated in the heart of trendy and vibrant Seminyak area, the most stylish and in-demand area in Bali. 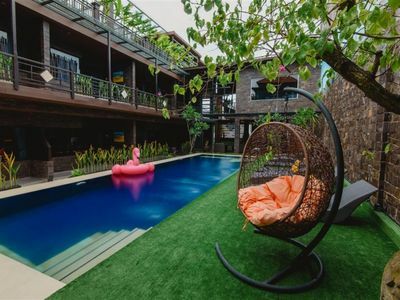 Located between the beach and main street in a quiet and safe neighborhood close to the beach and to all the good restaurants, bar and lounge venues in Seminyak. You can easily walk to everything. 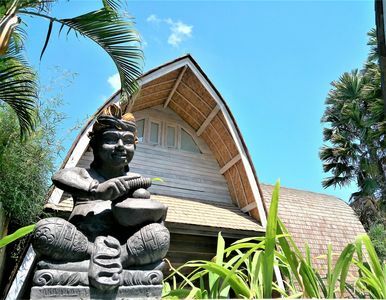 You are within a short walking distance from the Seminyak beach. Surf beaches are also very close. 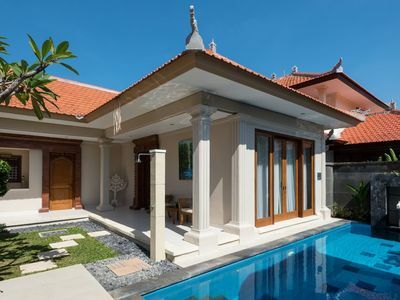 Premium location in the middle of the shopping area of Seminyak Square, Oberoi, Dhyana Pura and Drupadi streets. Just a 100 meters off the famous food street Jalan Oberoi (Jl Kayu Aya or Jl Laksmanai, with all popular and hip restaurants and fashion boutiques and interior design stores as well as a variety of health spas and a selection of some very good newly opened restaurants offering international and local cuisines. 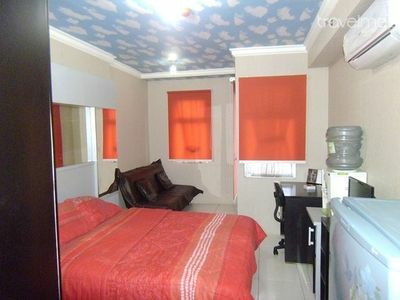 Very close from Jalan Raya Seminyak (shopping street) and also Jl Sunset road. 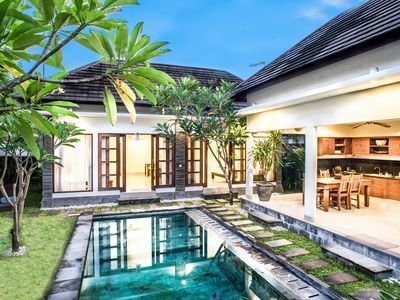 Easy and fast access to any part of the Seminyak-Kuta areas. 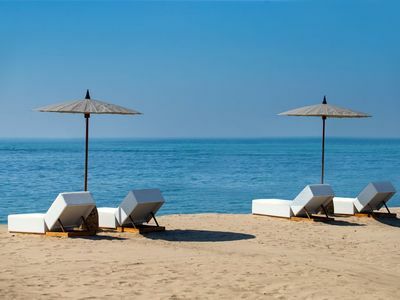 Within 5 minutes to world famous beach-lounge club Ku De Ta, where the atmosphere make them the perfect place for sunset watching. 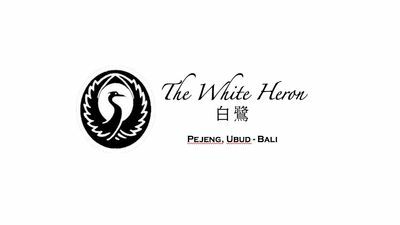 It is very easy to get in 5 minutes to the trendy Petitenget for lunch (restaurant Petitenget) drink (Kudeta, Potatoe's head) or lounging on the beach (Kudeta, Gado Gado). Enjoy night-life spots such as The W Hotel, Town House, Jenga, Huu, Red Carpet, Marie Magadalena, Potato-Head and La Plancha, Breeze, Mint, Mantra. You are just steps away from all the conveniences you will need. 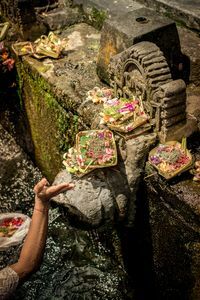 Bali Deli and Bintang supermarkets are steps away, as well as pharmacies, ATM and money changers. 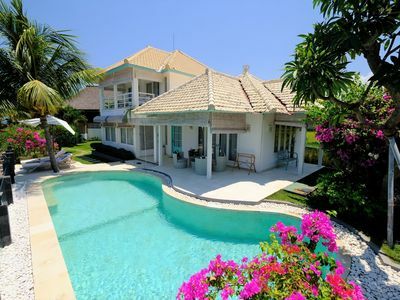 Beautiful Pool Villa just 350 Meters from Sanur Beach!